One of the largest fabricators in the south has opened a brand-new showroom which is already going down a storm with customers. 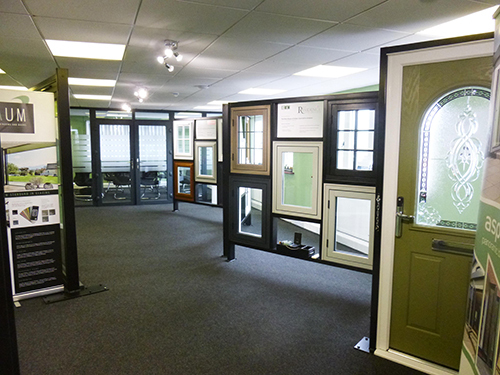 GJB Window Systems has converted unused office space at their headquarters in Essex into a smart showroom that displays one of the best product ranges in the industry, including Eurocell, Timeless, Raum and The Residence Collection. 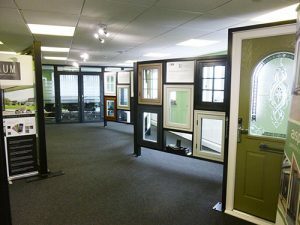 The new showroom is the latest tool provided by GJB for customers to utilise to help them grow their business and follows hot on the heels of the company’s Make It Yours marketing support and new high-end website. Providing customers with all the help that they need to thrive in the industry is the ethos that Sales Director Gary Bristow has built the business on for the last 30 years. Gary commented: “We have built our reputation on providing customers with the help they need to build their business and making them an extension of GJB. We have done this by investing in everything from machinery and new products to marketing support, and the new showroom is an extension of this. Sales manager Rob Waller commented: “It was a great space that needed to be utilised and, as GJB has never had a showroom in 30 years, we decided to convert it into a functional showroom for our customers. GJB Window Systems is one of the UK’s largest Eurocell fabricators, with a formidable reputation in the South-East and across the UK for outstanding quality and exceptional service. The firm is part of GJB Holdings, a £22m turnover supergroup which also contains Stoke-based fabricator Listers Central. For more information please call 01268 775566 or visit www.gjb.co.uk.